San Jacinto River Authority Board of Directors meeting, December 14, 2017: left to right, Vice President Fred Koetting, General Manager Jace Houston, President Lloyd Tisdale, General Counsel Mitch Page, Secretary Gary Renola. Not shown are Jim Alexander and Ronnie Anderson. >a work order for professional engineering services for a routine update of the Lake Conroe Dam Emergency Action Plan. SJRA has previously confirmed to The Golden Hammer in response to an Open Records Act request that the Lake Conroe Dam Emergency Action Plan does not include any flood control or flood mitigation. 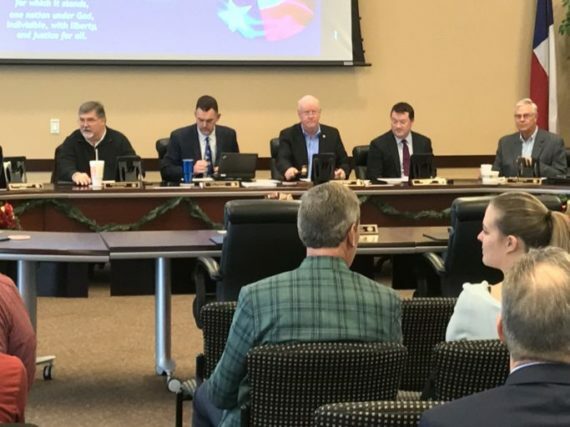 Therefore, the SJRA Board took no action on December 14 whatsoever with respect to the Authority’s primary duty “to provide flood control.” The Board meeting began 35 minutes late, as the Board had noticed the meeting for 7:30 a.m.
On October 16, 2017, the Texas Senate Agriculture Committee conducted a hearing on the flooding disaster that ensued after SJRA open the gates of the Lake Conroe Dam to release water through a narrow source – with enormous physical force – at the approximate rate of the Niagara Falls flow. SJRA released 79,141 cubic feet per second of water around 2 a.m., Monday, August 28, with almost no warning whatsoever to neighborhoods downstream. While the water release flooded thousands of homes, the sheer force of the water shoved many of those homes off of their foundations. While Tropical Storm Harvey was, of course, a natural event, the flooding within the San Jacinto River watershed over which SJRA has jurisdiction seemed man-made, because SJRA has failed to fulfill its statutory duty “to provide flood control” which such duty it’s had since the Texas Legislature created the Authority in 1937. Creighton responded, “The fact that you don’t feel you have a duty to do it is very troubling. That was written in the 1930s. When there’s danger, we run towards it as a steward of the public. But it sounds like you’re running away from the danger…We can’t wait until there’s thousands of people displaced to make those requests. 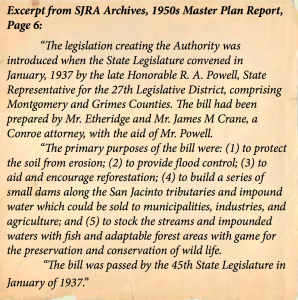 Enabling legislation giving SJRA responsibility for flood control in the entire San Jacinto River Basin. 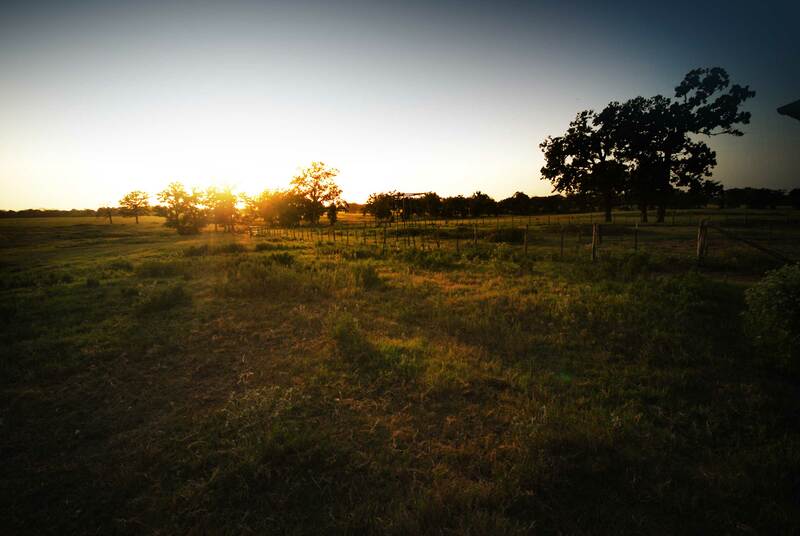 The San Jacinto River Basin encompasses all of Montgomery County plus additional areas. Source: San Jacinto River Authority. When confronted with the statutory duty “to provide flood control,” SJRA has done little more than provide lip service. The issue is particularly critical for Montgomery County residents. The Montgomery County government is considering options for flood control. Precinct 4 County Commissioner Jim Clark has long called on the County government or the state to provide flood mitigation, especially for East Montgomery County which seems particularly sensitive to big rain events. Despite the fact that SJRA has more than $10 million in cash reserves from its highly-profitable sales of water to the City of Conroe, The Woodlands, the City of Magnolia, and numerous other utility companies and users, under close-to-monopolistic conditions, SJRA has completely failed to invest in flood control for the San Jacinto River watershed community over which SJRA has responsibility. Meanwhile, County taxpayers face flood control costs that may range as high as $75 million, while SJRA could clearly finance such a large project without any increase in taxation.